When you’re stuck in a job that just isn’t you, it’s easy to know you want to make a change, but it’s difficult to go from thinking about change to actually making one. 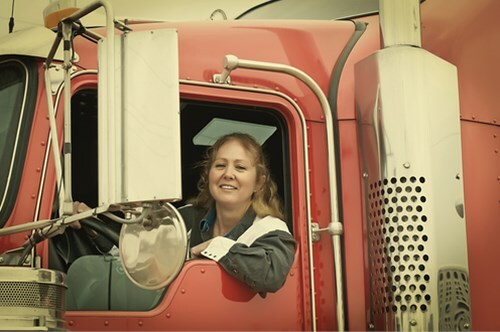 Whether you’re looking for higher pay, guaranteed pay, potential for advancement, or a simple change of scenery, one career has it all -- truck driving! With the industry growing, now is the perfect time to stop daydreaming about a fulfilling career and to go out and make it happen. At 160 Driving Academy, we help you prepare for a rewarding, fast-paced, and lucrative new career with classroom instruction and behind-the-wheel training. Why change careers to hit the open road? If you want a new job that allows you to work independently, nothing is better than being a truck driver! While you’ll have a deadline and a responsibility to your company to fulfill requirements, by and large you get to set your own hours. Once you’ve completed the 160 Driving Academy program, you're on the road to a career with a starting salary of at least $40,000. The median salary for truck drivers is $54,000 and the best part is you won’t begin your new job burdened with debt. In fact, most major commercial trucking companies pay 100% of your educational costs once you’ve passed your exam and obtain a CDL. Why spend one more day at a job you don’t like? Contact 160 Driving Academy today and start your new career. Give us a call to speak with one of our helpful associates or request more information on this exciting career by completing our quick and easy online form right now.